The faculty of Financial and Administrative Sciences held an orientation session for the newly enrolled students on Wednesday 20/9/2017. 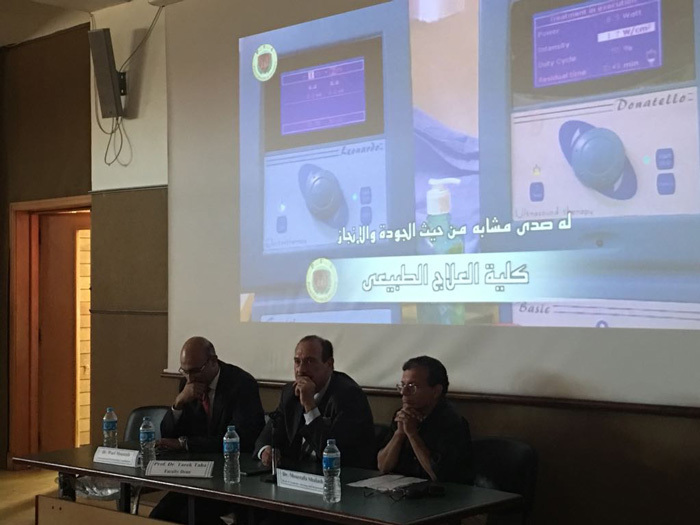 At the beginning of the session, a documentary was shown on Pharos University. 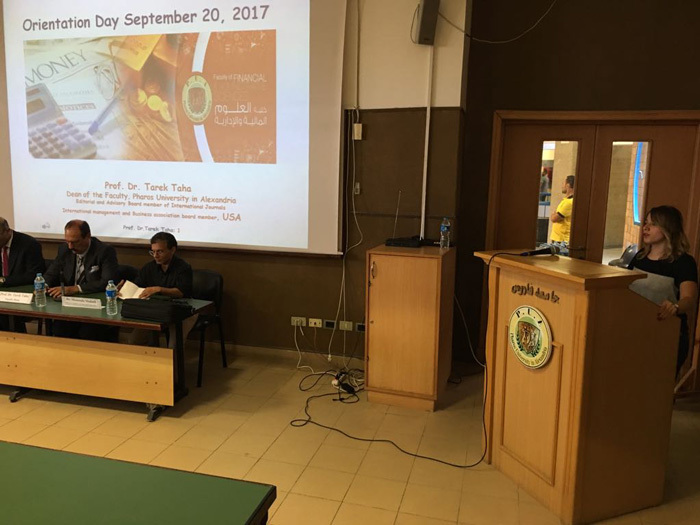 Then, Prof. Tarek Taha, the faculty Dean- gave a word in which he welcomed the new students and other attendees and oriented them towards the faculty’s facilities and academic staff members. 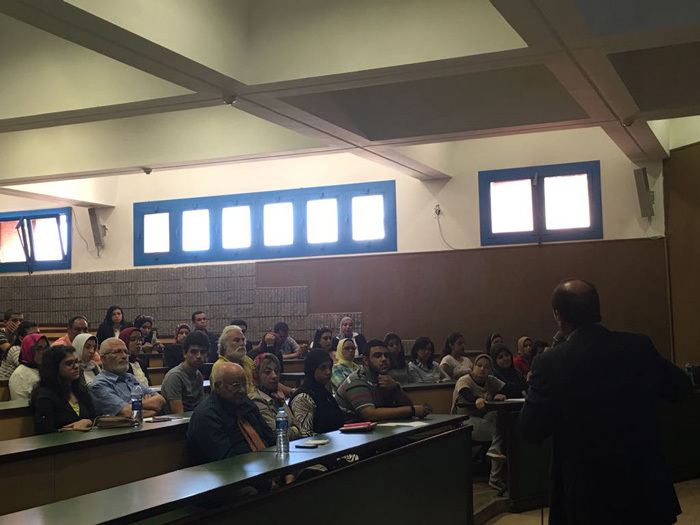 Dr. Mostafa Shalash, the faculty Academic Advising Director also introduced the students to the role of the academic advisor and gave them a synopsis of the Credit Hour System and courses registration. 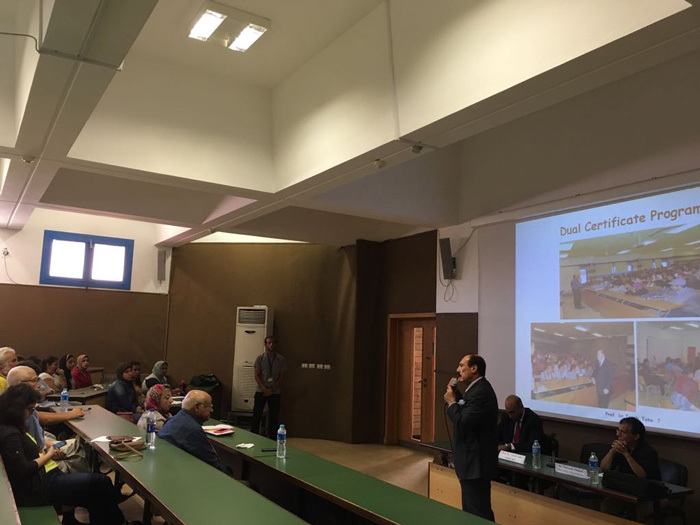 Then, Dr. Wael Mostafa, the faculty International Relations Coordinator acquainted the students with the Dual Degree conferred by the faculty and the faculty’s DIT academic partner in this program. 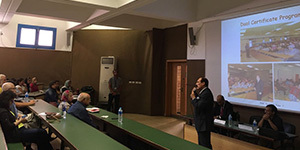 At the end of the session, a documentary was shown on the faculty’s field training and extracurricular activities held by the University different clubs.